The Premio 10 moxa is an electronic device that simulates the effects of moxa without the smoke or ash making it the perfect solution for use in today's clinics. The Premio 10 moxa uses an infra-red emitter to apply heat over acupuncture points, trigger points or painful areas to simulate the use of a moxa roll. For tonification or dispersion treatments there is a 'Concentrator' attachment that focuses the heat onto a point to simulate Thermic needle effect. The Concentrator can also be used to stimulate an ear point in Auricular therapy, or to trigger a reflex point. 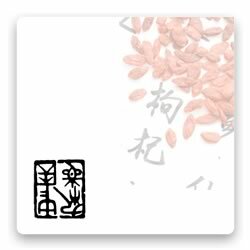 Traditionally, Moxibustion is carried out using burning Artemisia. Its effectiveness is very probably linked to the quality of the heat produced, characterised by its emission spectrum. The Premio 10 moxa incorporates an emitter irradiating in the infrared according to a model very similar to the spectrum of burning Artemisia. The distribution of the near, medium and far infrared wavelengths, guarantees its effectiveness through the appropriateness for the organism's physiological receptors, thermoreceptors and photoreceptors. Quick and Easy to use, Single Button to Start and Turn Off. Simulates both Moxa Roll and Thermic Needle treatments. Insulated Tip protects against the Risk of Burning by Contact. Easy to use in a Medical Environment.